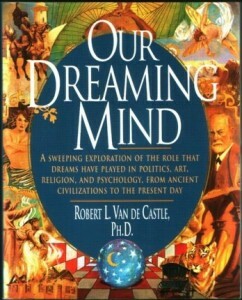 Robert Van de Castle passed away yesterday. I didn’t know him as well as others did, but I do have memories of him. Bob left his mark in two fields that are dear to me – parapsychology, and dream studies. Along with Calvin Hall, he pioneered the method of applying content analysis to dream reports. 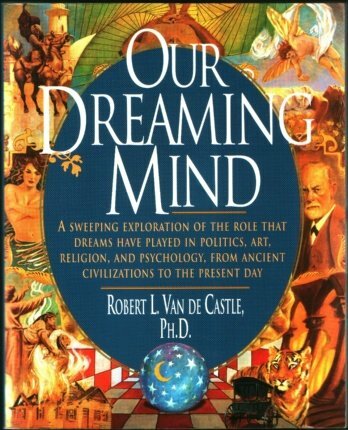 He also authored a classic introduction to dream studies, Our Dreaming Mind, which is an excellent overview to dreams, types of dreams, and the role they’ve played in history. If you want a good starter book on dream studies (beyond your usual reprints of Gustav Hindeman Miller’s 10,000 Dreams Interpreted, or the umpteenth book on “How to Tap into the Hidden Powers of Your Dreams!”), you could do much worse. Bob was not without his foibles. But I will not drag him through the mud here, because despite those foibles, I respect the man and his work highly. I will say that though his personal life was not without turmoil, I understand because I have been through similar turmoil. 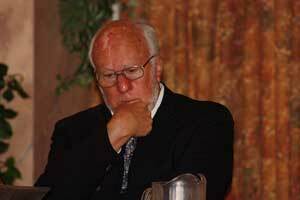 At the International Association for the Study of Dreams conference at Sonoma State University in 2007, I presented a paper on Visitation Dreams from The Dead. I don’t recall if Bob was in attendance at my presentation, but I do recall seeing him present. He was doing something involving light and/or sound, if I recall correctly, and some of it intersected with my own interests in the idea of consciousness seeming to be somehow connected to light and/or biophotons (see A Possible Non-Supernatural Quantum Model of Precognition, Parts 1-8, for instance) . After his presentation, I asked him if he might have some time to exchange ideas on a few of the points he brought up. He didn’t know me at all, but he generously agreed to spend an hour talking to me later in the day, because, as he said, it was important to keep the research going, and to help encourage those of us who were newer to the field. He didn’t have to talk to me, at all. He was old guard, an academic hero, and, as I found out, a kind and generous man. I would have liked to have reconnected with him again. I’ve been out of the loop in the Dream Studies field, on self-imposed exile for nigh 6 years now. I still have work to do there, and I’ve been slowly (slowly) trying to dip my toes back into the waters with a rather large research project/book. It’s too early to really talk about any of it here.